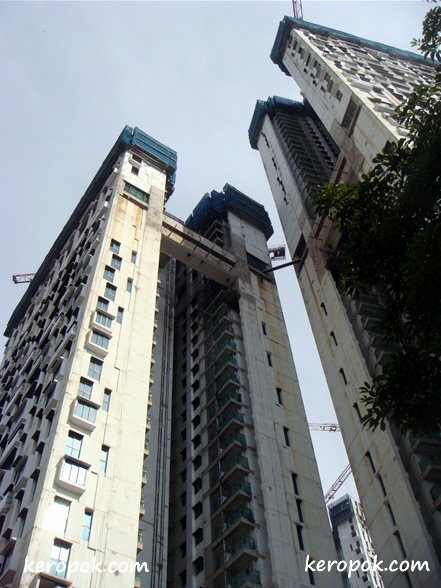 Pinnacle@Duxton the tallest public housing in Singapore. Here's another photo update of it. Are you afraid of heights? Would it be scary if you look out your window from the 50th floor? I would love it but my husband wouldn't he's afraid of heights!! That's a great building! If I am in a building, I am totally fine and I love it - you sort of feel protected by the building. But if i have to walk in an open structure, like a bridge made in rope or something, that's a complete different story. ha ha same sentiments as elaine. Of course it's scary to look down from the 50th floor. But it sure is wonderfully fantastic to be able to live so high up in the air. This few blocks of new flats are definitely taking longer than the 3-year period to construct, since they are taller and have more units. The Chinook does an emergency..
You can't hide the light. Oh no.. How to get in the bus?